Liven up your reading corner, library or lounge with Children's Factory bean bags. Choice of bright colors is sure to attract young learners. No need to worry about wear-and-tear. Seams are double stitched for maximum durability. Double safety-locking zipper keeps bean-bag chairs securely shut. Vinyl exterior is easy to clean. 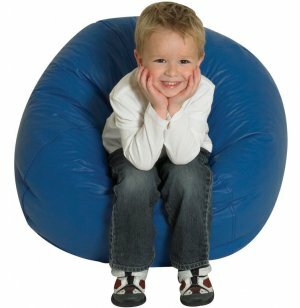 Unlike rigid hard plastic or wooden chairs, bean bags have a flexible form that shifts to suit whoever sits in them. 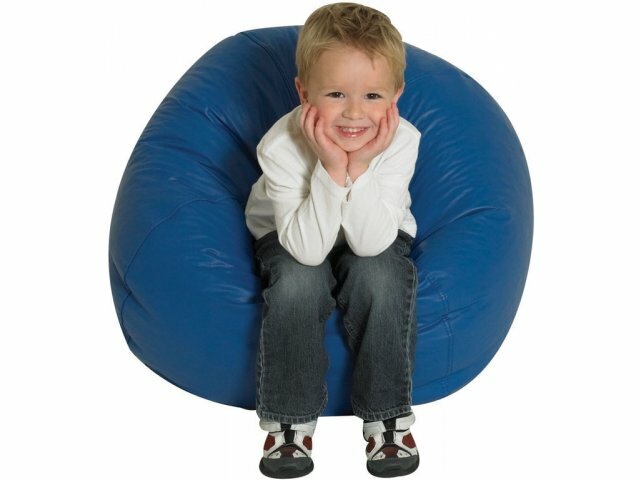 26" Children's Factory bean bags are an appropriate size for young children. With such comfy seating, students will never want to leave the classroom. Easy Cleaning: Vinyl cover is spill resistant and removable for cleaning. Durable Construction: Double stitched seams stay strong through years of use. Secure: Double zipper keeps contents inside. Attractive: Bright colors are sure to liven up rooms. Tested for Safety: Meets all CPSIA and ASTM safety standards. Tested for ages two and up.